It Can Be Done. But It'll Cost You. Have you ever visited Disney World and pushed your way through an impossibly enormous crowd only to discover that the standby line for Haunted Mansion—an attraction that you and your theme park posse really wanted to ride—was snaking out into Liberty Square? And the wait time was over two hours? Yeesh. Have you ever wished that you could just sashay up to the front of the line and walk right into the famous stretching room? Or skip all the infernal lines at the popular resort? Well, you can. Worse, you may find that you're unable to book Fastpasses for some attractions. The most popular ones, such as Avatar Flight of Passage, “sell out” almost immediately. Unless you reserve a day and time early in the process, it is likely that no Fastpasses would be available. And when Star Wars: Galaxy’s Edge opens, forget about it. 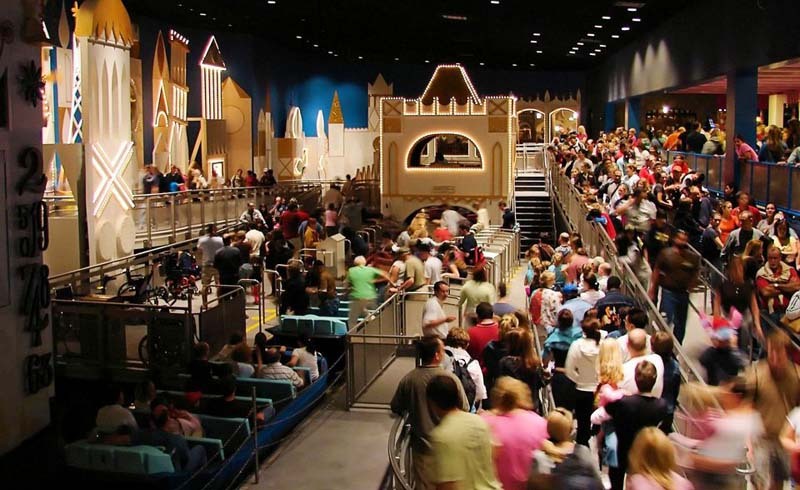 Demand will be so high, it may be difficult to gain access to the land, let alone book an advance Fastpass. No matter how much planning you do, you're bound to end up waiting in at least a few (if not many) lines. But what if we told you that you could forget about Fastpasses, MagicBands, and all of the other line management technology and strategies that Disney offers, but still walk right onto nearly every ride your heart desires (including Avatar Flight of Passage)? All you need are some bucks—lots of 'em. Disney World doesn't trumpet it too loudly, but the resort offers something it calls VIP Tour Services. It allows participants to hop right onto most rides of their choosing as well as a bunch of other benefits. In late 2018, the fee to book a premium VIP tour is—brace yourself—$425 to $625 per hour, depending on the time of the year. There is a minimum 7-hour duration, so a tour could cost as much as $4,375. Yikes! And note that the cost does not include theme park admission. The premium service includes door-to-door transportation from wherever you are staying in Central Florida to Disney World. Unfortunately, the mode of transportation is not a pumpkin coach. Participants also get VIP seating for parades and shows. Despite the price, the program is quite popular and availability can be limited. Make reservations well in advance (up to 180 days) if you want to take advantage of the service. 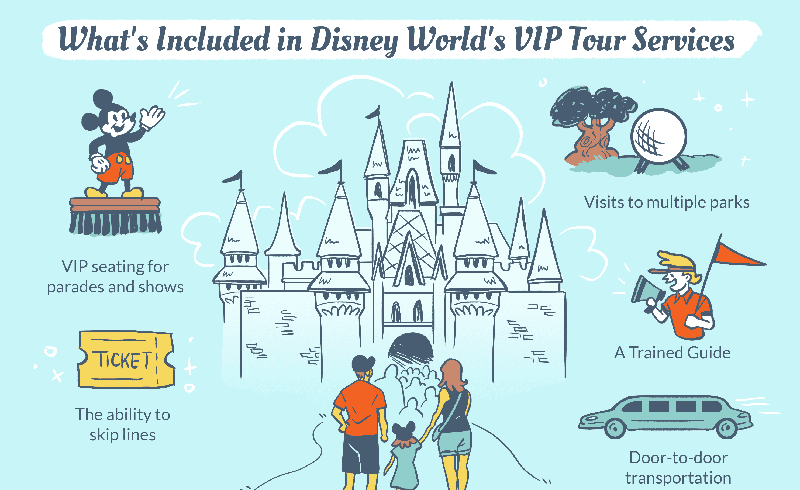 If Disney World's custom, private VIP tours are too pricey for you, the resort does offer other pre-planned group tours. 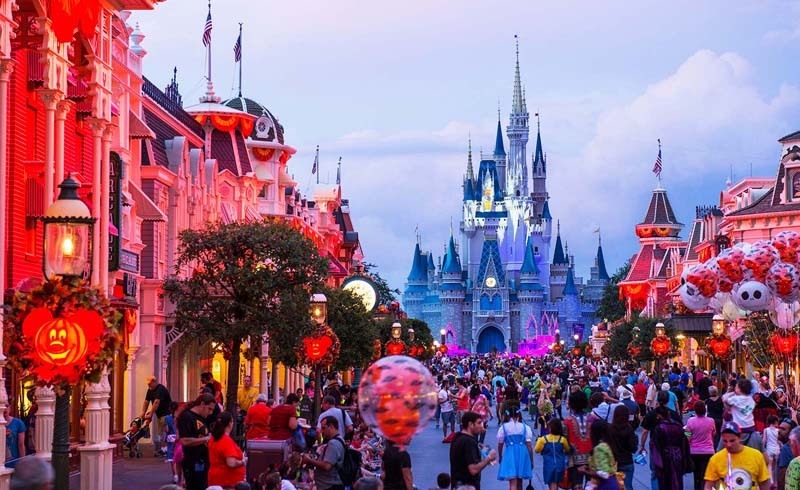 Among the choices are an Ultimate Disney Classics tour of the Magic Kingdom, Walt Disney: Marceline to Magic Kingdom Tour, and a Backstage Magic tour. There is even an Epcot Seas Adventures – Aqua Tour that includes snorkeling in The Living Seas huge aquarium tank. Learn more about other Disney World tours.